Fantastic Negrito AKA Xavier Amin Dphrepaulezz is the songwriter whose music taps into R&B, blues and roots to huge critical acclaim. You can see him make headline performances at Dingwalls in London on Thursday 1st of November 2018. Now is your chance to book your Fantastic Negrito tickets with Gigantic, we are very excited and as demand grows it makes sense to act fast and get yours before they are all taken. Gigantic makes selecting your favourite tickets and placing your order easy by enabling access to our site 24/7 using your smartphone, tablet or computer whilst relaxing at home or even busy and on the go. Fantastic Negrito is a man’s truth told in the form of black roots music. Each song is a real story about a musician from Oakland who experienced the highs of a million dollar record deal, the lows of a near fatal car accident that left him in a coma, and is now in the phase of rebirth despite his playing hand being mangled. After a long break from music, Fantastic Negrito won NPR's inaugural Tiny Desk Contest in 2015. Since then he's performed with artists including Sturgill Simpson, Solange, Chris Cornell and Temple of the Dog. His next album - the follow up to his 2017 Grammy-winning debut album The Last Days of Oakland - will be released in June 2018. 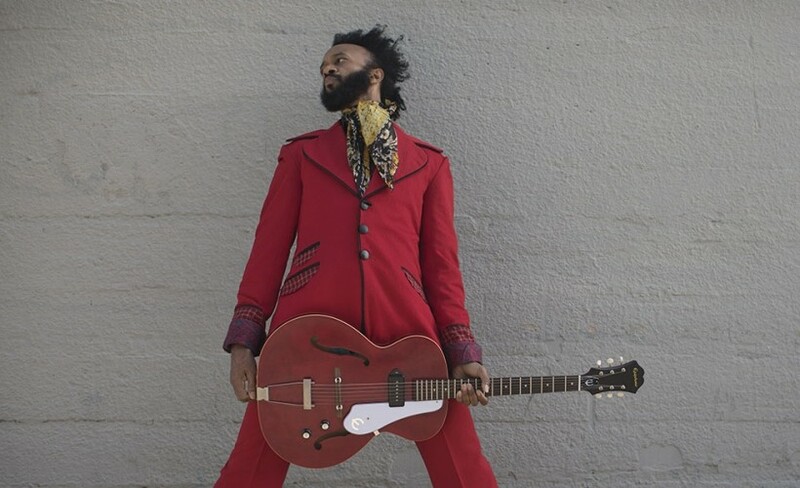 We are really excited to be able to offer you Fantastic Negrito concert tickets, but as we only have limited supplies you really will have to act fast and book before they are all snatched up. Gigantic has a well-earned reputation for being the best place to choose from a wide range of essential gig tickets and providing excellent customer service, and so we have been bestowed the Nottingham Post illustrious ‘Retail Business of the Year 2017’. So, you know we are the right place to come whenever you are booking your big night out. Fantastic Negrito was one of our favourite gigs in 2018!